West Suffolk AC entered the Eastern Counties cross country championships with a team of “Wild cats”. This is the first time in 20 years that our under 13 and under 15 girls have taken part in this competition. 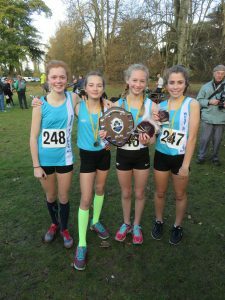 The under 13 girls team consisted of Lila Battell, Lorna Coull, Eva Marshall, Marni Sillitoe, Molly Howell and Lulu Lawson. 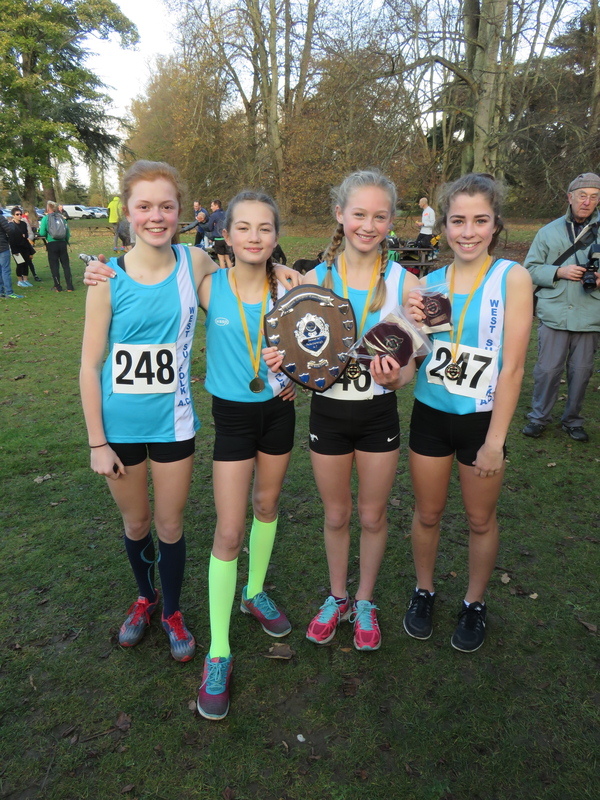 The club had a very successful day at the races with Lila Battell becoming the first ever winner From West Suffolk AC, Lorna Coull had a good run finishing a very close third, Eva Marshall finished strongly for the West Suffolk team to be their third place finisher followed by Marni Sillitoe and Molly Howell and Lulu Lawson, in her very first race for the club, also finished well. This effort was good enough to give the team the race winner and the team trophy. 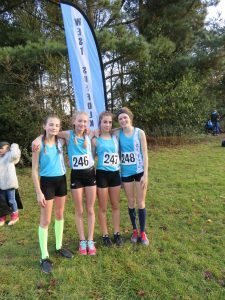 The under 15 girls did not have a team but both Libby Stinson and Amber Walton performed well, Amber was hindered by an administration error and was not allowed to finish. Libby had a good race and had the fastest finish of all the runners. Joe Bradford was the only runner for the under 15 boys he had a good run and finished well but had no backup from his team mates. All in all a good day out for the West Suffolk team.